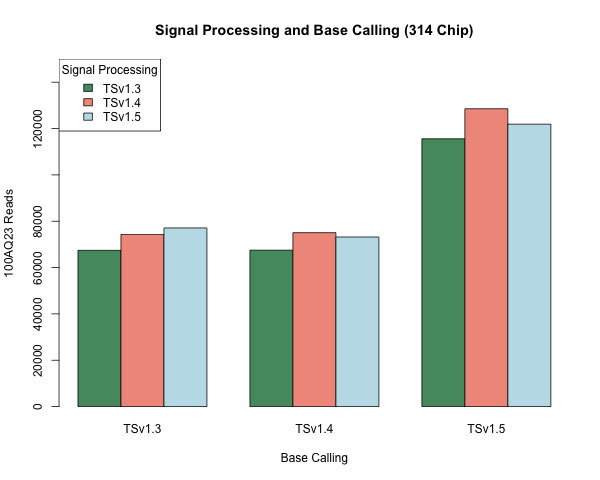 A question was posted regarding the performance at higher Q values. In this blog I have plotted 200AQ23 because this is the benchmark used for the Accuracy challenge. 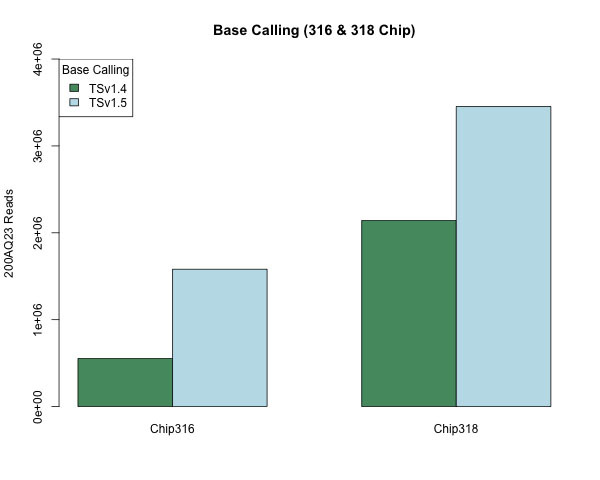 When comparing base calling between v1.4 and v1.5, 316 chip the 200AQ47 reads increased from 290,216 to 1,066,187 and for the 318 chip from 1,054,633 to 1,915,634. Hence the improvements still look dramatic.